A visit to the National History Museum of Mauritius is like travelling back the memory lane of Mauritius’ colonial history. The Museum housed in the Gheude Castle, a magnificent French colonial mansion built around 1770, is located at Mahébourg on the bank of La Chaux River amidst a luxuriant park of pine trees. It is here that Commanders Nesbit Josiah Willoughby and Guy Victor Duperré, two adversaries who were seriously wounded in the Naval Battle of Grand Port, were nursed side by side by their respective doctors. The Dutch section of the museum was inaugurated by His Highness Prince Maurits of Orange-Nassau on 20 September 1998. It was a ceremony to mark the 400th anniversary of the first Dutch landing in Mauritius. Various maps and drawings trace back the different periods of Dutch settlement in Mauritius. 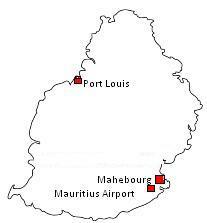 The Dutch abandoned Mauritius after two unsuccessful attempts to colonise the island. 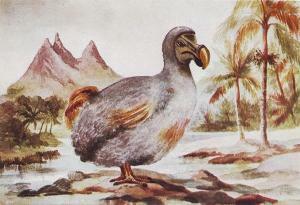 By the time they left two endemic species to Mauritius, the Dodo bird, (which they calledWalgvogel), and the giant tortoises, (cylindraspis inepta and cylindraspis trisserata), were already extinct due to extensive hunting. The giant tortoises could easily carry 2 persons sitting on their shell. Some bones of the tortoises and of the Dodo which were found at Mare aux Songes are displayed here and at the Mauritius Natural History Museum. These bones bear testimony to their existence till some few hundred years back. Artifacts and a diversity of coins found on the Speaker, which was under the command of pirate John Bowen when it wrecked at Grand River South East on 7 January 1702, are also exhibited. -	Silver thaler struck in Kremnitz in 1695 during the reign of Leopold of Austria. - A Nuremberg brass sundial, the ancestor of the watch. A collection of fine porcelains which probably dates back to the time of Emperor Wan Li (1572-1620) of the Ming dynasty reminds us of Admiral Pieter Both’s tragic death when his ship the Banda, caught in a terrific storm, wrecked off the western coast of Mauritius at Baie du Tombeau, (Tomb’s Bay), in March 1615. These Chinese masterpieces, retrieved from the wreck of the sunken ship, give us an idea about the commercial links exiting between the Far East and Europe during that period. 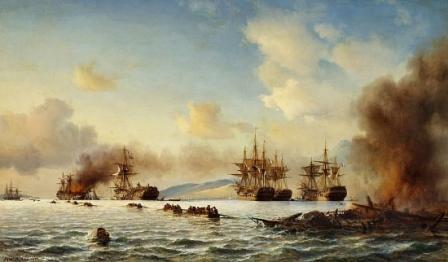 In another wing of the museum the Naval Battle of Grand Port fought in 1810 between French and British squadrons is well documented through paintings hanging on the wall and various tabloids narrating the different phases of the battle. Artifacts from HMS Sirius, part of the hull and a 24 pounder carronade from the frigate HMS Magicienne enhance the collection. Strikingly displayed in the middle of the room is the Bell of Marengo. The bell was given to Napoleon Bonaparte as a souvenir after his victory against Austrian forces at Marengo, in Piedmont, Italy. Later the bell was transferred to a ship bearing the same name of the Italian village and which called at Mauritius on several occasions. The Christ on the cross and a nativity scene are superbly crafted on the bell. 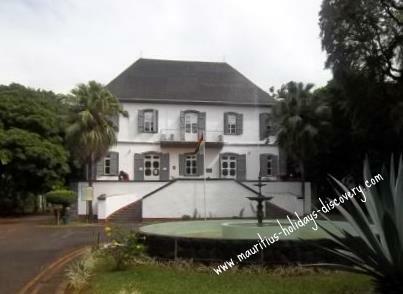 After visiting the French colonial period gallery your visit to the National History Museum of Mauritius will end at the British Rule hall on the first floor of the building. British troops backed by Indian sepoys landed at Bain Boeuf , invaded and conquered the island from the French colonists in November 1810. Whilst the French wing highlights the development of Isle de France, the name given to Mauritius by the French, and the life of slaves alongside the French colonists, the British section display shackles, chains and other relics used to punish and imprison slaves. When the British administration abolished slavery on 1 February 1835 many indentured labourers were brought in from India – mainly from Bengal, Madras and Bombay – to work in the sugarcane plantations. Next to the collection of the Regal or standard coinage of British India which became legal tender in Mauritius from 1877 till 1935 because the Indian labourers were more familiar with Indian currencies than those in circulation locally, a reduced model of the first carriage used by the Mauritius Railways in 1864 is exhibited. In the backyard of the museum you can see an actual size carriage. For various reasons trains were gradually withdrawn from circulation as from 1926. Portraits of British personalities pivotal to the history of Mauritius as well as impressive aquarelle depicting urban and rural characters of different ethnicity of the late 19th century complement the collections.